Chow N, Gallo L, Busse JW. Evidence-based medicine and precision medicine: Complementary approaches to clinical decision-making. Precision Clinical Medicine. 2018;1(2):60-64. doi:10.1093/pcmedi/pby009. Parameswaran R, Agarwal A. Evidence-Based Surgery. In: Evidence-Based Endocrine Surgery. Singapore: Springer; 2018:3-10. doi:10.1007/978-981-10-1124-5. Murad MH, Asi N, Alsawas M, Alahdab F. New evidence pyramid. Evid Based Med. 2016;21(4):125-127. doi:10.1136/ebmed-2016-110401. Burns PB, Rohrich RJ, Chung KC. The levels of evidence and their role in evidence-based medicine. Plast Reconstr Surg. 2011;128(1):305-310. doi:10.1097/PRS.0b013e318219c171. Guyatt GH, Oxman AD, Vist GE, et al. GRADE: an emerging consensus on rating quality of evidence and strength of recommendations. BMJ. 2008;336(7650):924-926. doi:10.1136/bmj.39489.470347.AD. 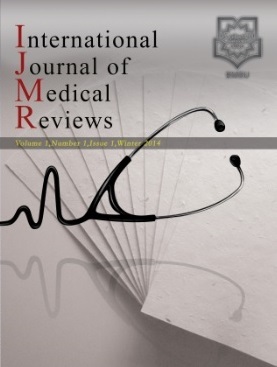 Murad M, Montori VM, Ioannidis JA, et al. How to read a systematic review and meta-analysis and apply the results to patient care: Users’ guides to the medical literature. JAMA. 2014;312(2):171-179. doi:10.1001/jama.2014.5559.